Owners Justin and Malia Thain combine incredible style and innovative design to create buildings with lasting value and timeless appeal. Puuwai has an energetic staff with a wide range of expertise. 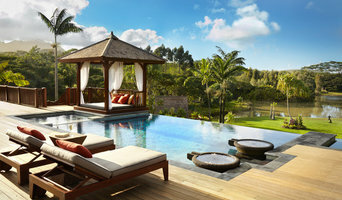 Whether you prefer Modern Balinese, or a blend of Asian influences with Contemporary, Mediterranean, Tropical Architecture Group, Inc. will capture your vision beyond your expectations. Architecture, interiors and hardscape. From a small interior remodel to a brand new house, I would like to help you create your dream project. 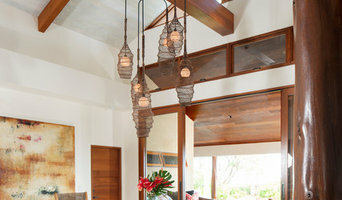 Design Associates Kaua`i is a small architectural design firm specializing in custom home design on Kaua'i for over 30 years. Lifetime Kaua`i resident Principle Designer Rodney Pascua, along with his design staff, make up the 'pencil and pixel' production team of Design Associates Kaua'i. 'Pencil and pixel'? We use computers and hand-drafting in our design work. The DAK design philosophy is is to listen carefully to each client's desires, and respond with solid design solutions that serve the site and meet your needs cost effectively. We do not have a one-size-fits-all style to impose upon our clients - every project is unique. In this way, we ensure each new project fits well within the landscape of Kaua`i, treads lightly on the land in terms of resource demand, and provides you with natural comfort in our tropical climate. The remote, rural, and tiny tropical island of Kaua`i is truly an amazing spot on our blue world. In all aspects of our design work, we strive to honor and sustain this. If you have a project in mind - large or small - contact us. We will set up a meeting, visit your site, then get started on design concepts for your dream. It's what we love to do.